to anyone and everyone they encounter. We hope you will enjoy your visit to our site. and/or questions you may have. 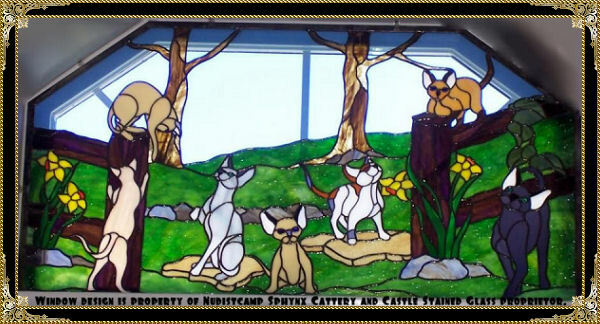 This is a stained glass window that was hand made for us by Phyllis and Joanie at Castle Stained Glass in San Luis Obispo, California. 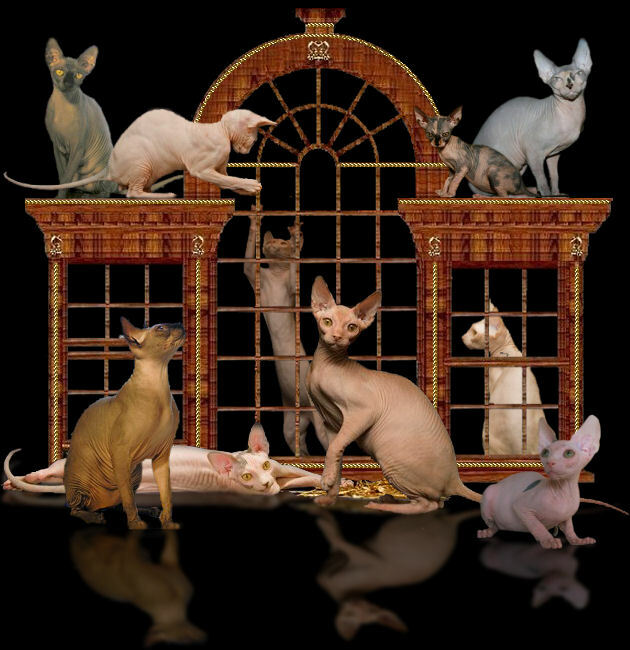 These cats were designed to resemble some of our own sphynx cats. A special thanks to Joanie and Phyllis for the numerous changes and countless hours that were spent making this window for us.